The latest incident reveals that the Houston Independent School District has yet to fix problems with its reorganized transportation system, three months after the start of school. 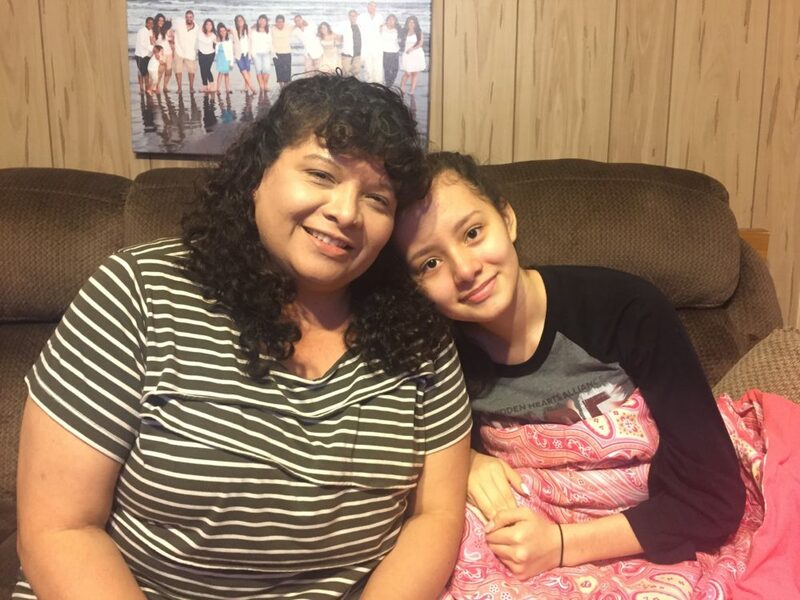 Last week, Alyssa Quiroz, 14, didn’t get home in time to take her heart medication. 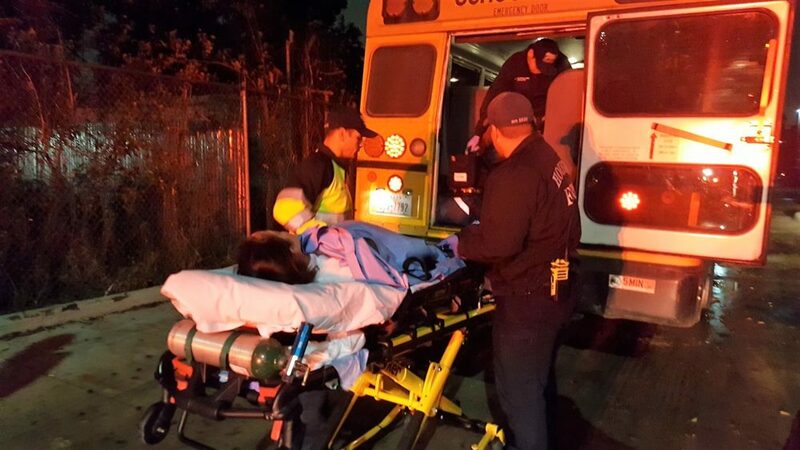 When her HISD school bus arrived nearly three hours late, she had to be transported to the hospital. At first, Alice Quiroz didn’t panic when her daughter Alyssa was late coming home on her school bus. She just wanted to know where her daughter was and when she’d arrive, since the Houston school bus was almost an hour late. But it wasn’t easy to get answers. 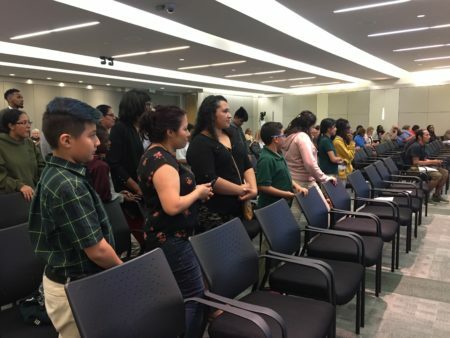 And all Quiroz knew was that her 14-year-old daughter had texted saying she was put on a different bus because there wasn’t a driver for her route from her magnet school near the Texas Medical Center to east of downtown. In the end, the eight-mile trip turned into a nearly three-hour ordeal that sent Alyssa to the hospital. The delay wasn’t just a matter of inconvenience. It prevented Alyssa, who has a heart condition, from taking her daily medication at the correct time. She arrived at the bus stop unconscious. 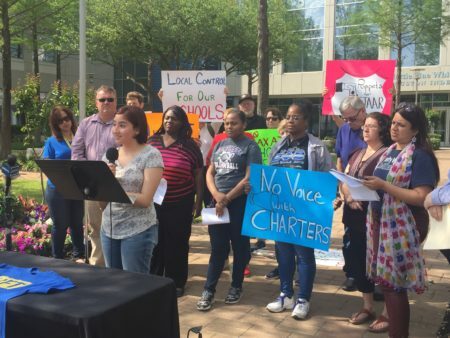 This latest episode involving the Quiroz family reveals that the Houston Independent School District has yet to fix problems with its reorganized transportation system, three months after the start of school. The delays and confusion began the first day of school in August, when HISD decided to consolidate bus stops. District administrators created “hub” stops for thousands of students who attend specialty schools outside their neighborhood. They used a software system to help design the routes and stops to make the commutes more efficient. However, some of the hub stops were located near construction or far away from children’s homes. And some routes had to double up because the district couldn’t hire enough drivers. Then, in October after many complaints and delays, Houston administrators launched a new bus badge system. Students are supposed to scan their badges as they get on and off the bus, and parents can track their children’s locations. But that new badge didn’t help when Quiroz called the bus hotline. The operator told Quiroz, “That’s for the parents, not for us,” in a recording provided by the family. Alyssa Quiroz said she felt she had to take matters into her own hands and communicate with her mom over text messages. Her mom, Alice Quiroz, couldn’t locate her through the HISD bus hotline. Alyssa said that she tried to stay in touch with her mom, texting with her along the ride. She didn’t know where she was, or where they were going, and she was feeling worse. Her condition, called postural orthostatic tachycardia syndrome (POTS), means that most of her blood stays in the lower part of her body when she stands up. It makes her heart beat faster. Stress and heat can worsen the condition. She has to take medication every day at 6 p.m. to keep it in check. The delayed bus put all those risk factors together in a dangerous mix. 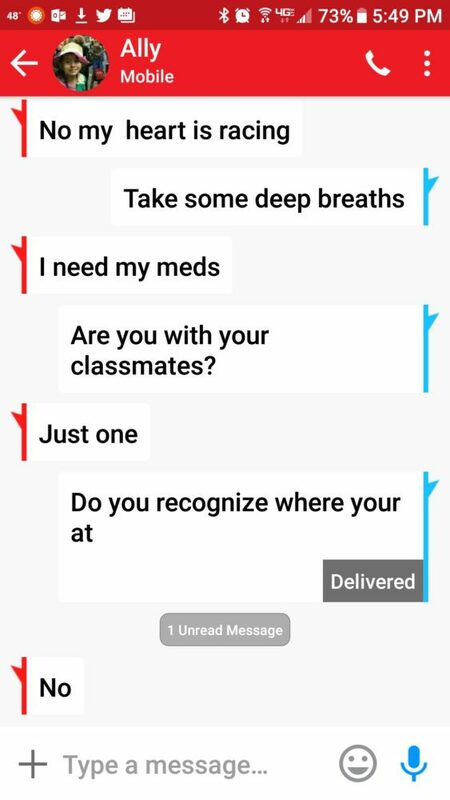 Alyssa texted her mom that she needed “her meds.” Soon after that, she stopped texting because she couldn’t move her arms or legs anymore. When she arrived, unconscious, at the bus hub stop just east of downtown, her mom recorded the scene, narrating that the medics were on the way. “I’ve learned to document everything. Because if it’s not documented, it’s just hearsay and nothing is ever done,” Quiroz said. Alice Quiroz said that she’s learned to advocate and document what happens to her daughter, Alyssa, because of her medical condition. She wants the Houston community to come together to figure out a solution to the Houston school district’s bus woes. The Houston Independent School District said they’re taking new steps in response to what happened. They plan to review all routes and distances before they combine any more routes. They’re still trying to hire dozens of bus drivers to make sure all routes are covered. District administrators plan to collect students’ medical information, so that they can prioritize drop-offs if they’re late. And the bus hotline will get a serious review. “The incident is under review to determine what additional safety measures can be taken in the future,” HISD said in a statement. “It’s become more manageable as far as what we’re doing. A lot of the concerns we’re actively working out. 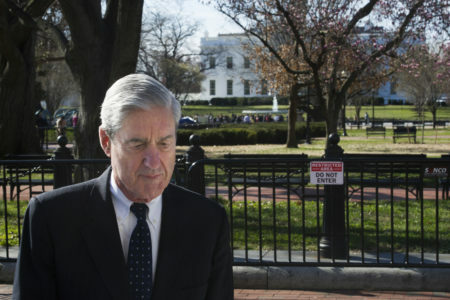 But we do have a ways to go,” Wilcots said. 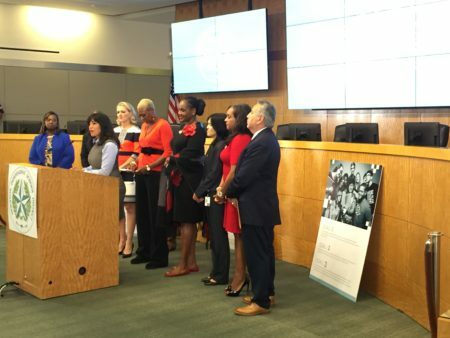 Houston’s interim superintendent Grenita Lathan called Quiroz to apologize for what happened to her daughter. The family’s school board trustee and state representative also reached out. “But reaching out to me is not fixing the problem. I need the problem fixed, not only for my child, but for all the other children,” Quiroz said. And her daughter is still scared. “I don’t know if I want to ride the bus at this point because I don’t want to not feel safe just going home and going to school,” Alyssa said. While adults try to work on a solution, Alyssa said that she’s found her own way to cope. She turns up some of her favorite music and raps along with Cardi B.